As part of L4G’s commitment to helping remove the cloak of invisibility from charities, I am proud to present the 3rd indepth piece with March’s charities. This time, Home Start Watford & Three Rivers is the focus. They have an extremely valuable service they provide and i think all parents reading this can see how and why they are an honour for us to work with. 1) Can you briefly summarise the charity’s history. Home-Start Watford and Three Rivers was set up in 1993, we are part of a national organisation which is celebrating its 40th birthday this year. The founder of the national charity Home-Start UK, Margaret Harrison was originally from Watford and attended Watford Girls Grammar School. Home-Start Watford & Three Rivers is very close to her heart. Our scheme is 21 years old this year. 2) Can you explain what you do as a charity, who you look to help and how? 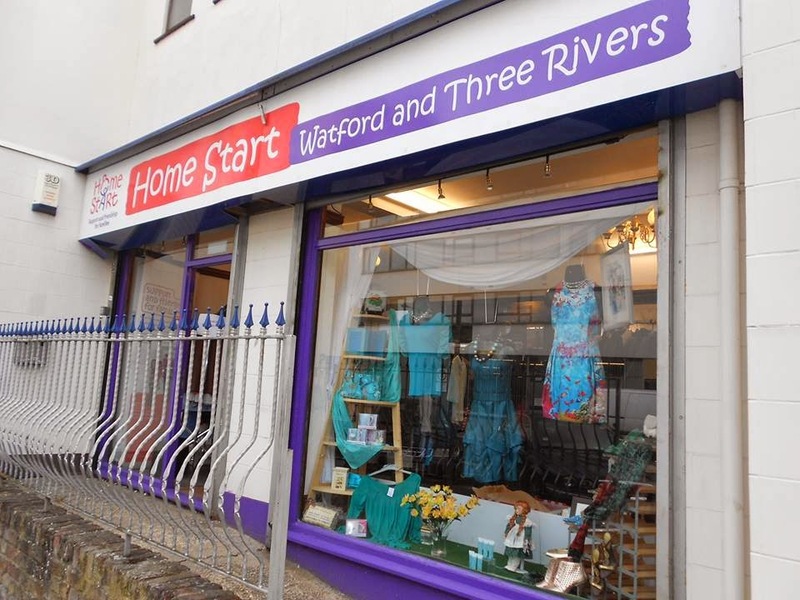 Home-Start Watford & Three Rivers is a voluntary organisation committed to promoting the welfare of families who have at least one child under five years old. · Promote the education of the public in better standards of childcare. Home-Start Watford & Three Rivers is also committed to training and supporting volunteers, who are parents themselves, to give regular support and practical help to families under stress, in their own homes, helping to prevent crisis and family breakdown. We are an exceptional organisation and provide unique service in the fact that we are the only agency to visit families in their own homes regularly. We also personalise the service to the needs of our families through a having the capacity to match volunteers sensitively to the areas of support a family indicates. Therefore, we are an early intervention service in its finest form! 3) How does the charity raise money at the moment? Is it easy to compete against the charity ‘big boys’ with large marketing budgets? As a charity over the last few years we have taken steps to make the way we fund the charity more sustainable. We opened a charity shop in Feb 2010 which is now bringing in a small steady income. We receive funding from Herts County Council to provide family support, this makes up around 50% of our annual funding needs. The other £70,000 + has to be raised! We apply to locality budgets, trusts and approach local businesses for support. We also have our own fundraising activities such as quiz nights, fashions shows and coming up this year ‘One night with Elvis’. (Tickets on sale now for 6th June 2014). We are no competition for the well-known local charities with big marketing budgets and find many companies and organisations donate and support these charities automatically because of their high media profile. However, Home-Start has a long standing excellent reputation and we are working on raising our profile in the local press. We have a strong ethos here at Home-Start about how our charity funding is used and budget carefully so money is constantly ploughed into our core service of supporting families. 4) Are there any challenges that you as a charity suffer from? Our biggest challenge is the fact the ‘need’ within the community continues to outweigh our capacity to provide family support. We receive referrals form Health Visitors, Children’s Services and children centres. We also accept referrals for families themselves. This year (from 31st March 2013) so far we have received 136 referrals for family support. We have also seen a rise in the complexity of family needs, more families citing parental mental health as an issue and domestic abuse. As a voluntary home-visiting service this means we are asking a lot of our volunteers in managing the complex needs of families. Due to the economic climate we also having to work harder to recruit volunteers, people who would have ordinarily volunteered for Home-Start are now having to return to work or look after grandchildren. As for all charities funding for the future is always a concern. The Herts County Council funding has been insecure for the last two years with reviews of services for under-fives and the gradual implementation of tender and procurement. We lost funding from Watford Borough Council last year as their community priority’s changed and no longer included family support. We are not daunted by this though and know we need to seek funding in other ways such as corporate funding and active community fundraising. 5) How can people help you as a charity in ways that may not require money? Volunteering or providing a service for example. We have a range of volunteering opportunities at Home-Start, our primary one being family support. Family support volunteers all attend an eight week training course that builds on the skills that they already have as parents to provide support to other families when they need it the most. 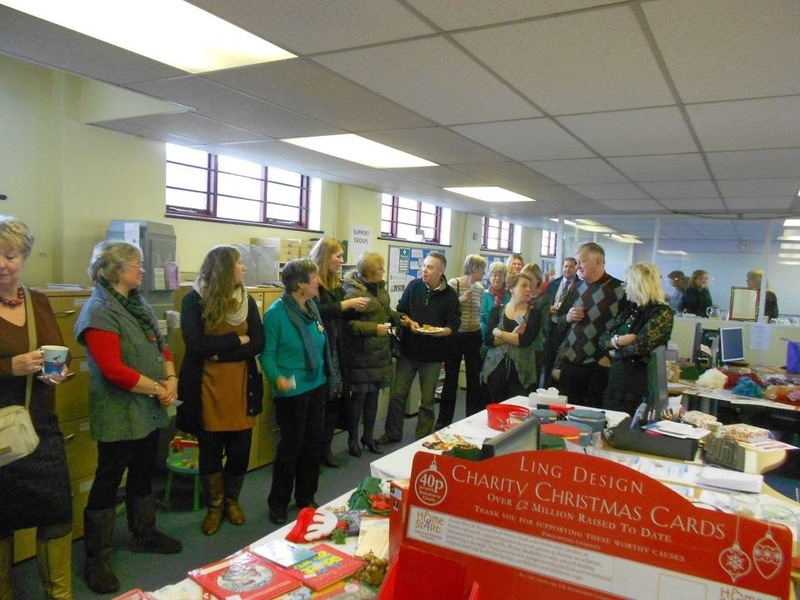 We also have the charity shop which apart from the shop manager, who is part of our staff team, is run by volunteers. The shop is a warm and friendly environment which is not just about making money for the scheme but also provides a service to the community. The shop provides the opportunity for families who maybe struggling financially to buy affordable clothing and items for their home that they may not otherwise been able to afford. Home-Start is always looking for trustees who are able to bring a skill mix to the board that can provide challenge and progression to the charity whilst ensuring good governance. The board are currently looking for trustees with skills in financial management, fundraising and HR. Any ‘in kind’ support is always beneficial to the charity we are a small, but passionate staff team of seven (soon to be eight) so we welcome any support with events and fundraising. In the past companies have volunteered to paint our shop / offices and support our fundraising events. 6) What are the future plans for the charity? Where do you want to be in 2-3 years time? We have clear plans for the future, the main one being to maintain our current level of service. To do this we need to continue to explore sustainable funding and that may mean the acquisition of further charity shops. Maintaining the current service also will require us to continually evaluate what we are doing and change with the ever changing needs of the community. We are currently seeking funding to employ a ‘Community coordinator’ who would be able to provide a targeted package of care before we match a volunteer to a family. This would enable us as an organisation to begin to address the rising complexity needs within family life. This year we started our own family group which is a safe and inviting place for families to come together. We would over the course of the next year or two like to be able to bring this service to other families in the community by opening more family groups. The recruitment of new volunteers also remains a priority to continue to provide and maintain the level of service. We currently have 104 active volunteers carrying out a number of roles within our organisation! This is an interesting piece and I think a lot can be taken from it. Firstly, the economics of running a local charity can be seen here. Time are tough and when 50% of the funding come from a budget looking to be cut by Herts CC, it means that Home Start need our help more than ever. Therefore, it is good to see that they have a variety of different events planned and I’m sure some of you reading this will look to attend one/two of them. Secondly, I think it is good to see that there is a charity looking to target family life in general and help give parents the support they need. Time are tough these days and it is good to see that there are people out in our community that are trying to help others. This is the ethos of Link for Growth and I am delighted to be working alongside them. I hope to be able to use events such as the CSR Luncheon to allow both business-charity interaction and also charity-charity interaction as I feel there is overlap between Home Start and the other charities that we are working with. Rather than looking to competition, co-operation is going to be a major part of how we rebuild the SW Herts community and I hope to help facilitate this. I hope this article makes you more aware of what Home Start does in our community and allows you to possible see how you could help them achieve their plans for the future.